Grass-fed Moo! Angus Beef Achilles Tendons (3-Pack) made in Argentina. These are made from Grass-fed Angus beef that received No antibiotic,No growth hormone in their life. 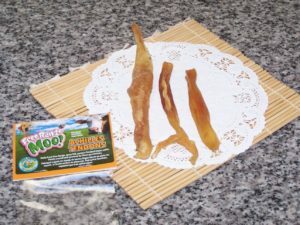 Grass-fed Moo!Angus Beef Braided Taffy Sticks 11″-12″ made in Argentina. Since gullet is great natural source of Glucosamine,it is especially great for Arthritis dogs. 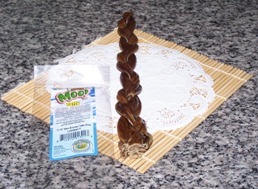 Due to natural dog treats,thickness of each treats can vary. Grass-fed Angus Beef Taffy Bites 8 oz made in Argentina. 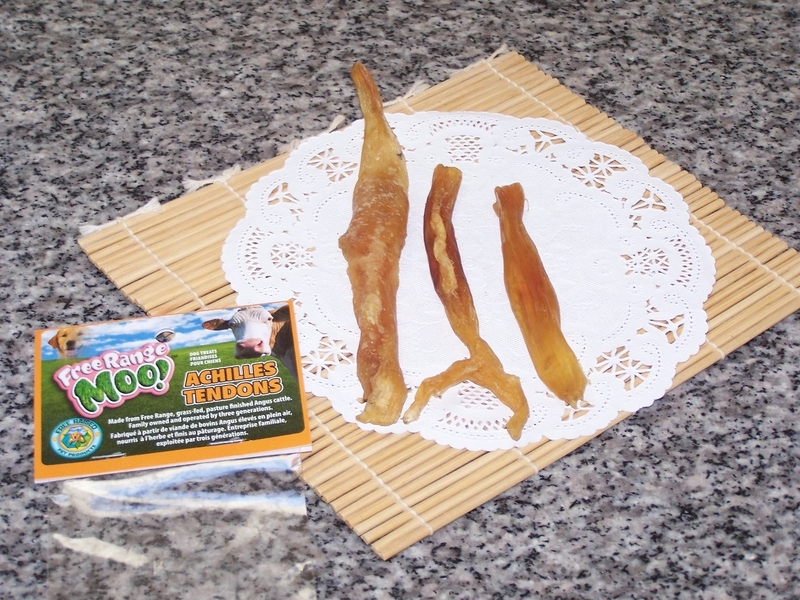 This Taffy bites have various taffy treats in one package (taffy chips, sticks, bones, springs, bully rolls, taffy wrapped trachea, etc.) 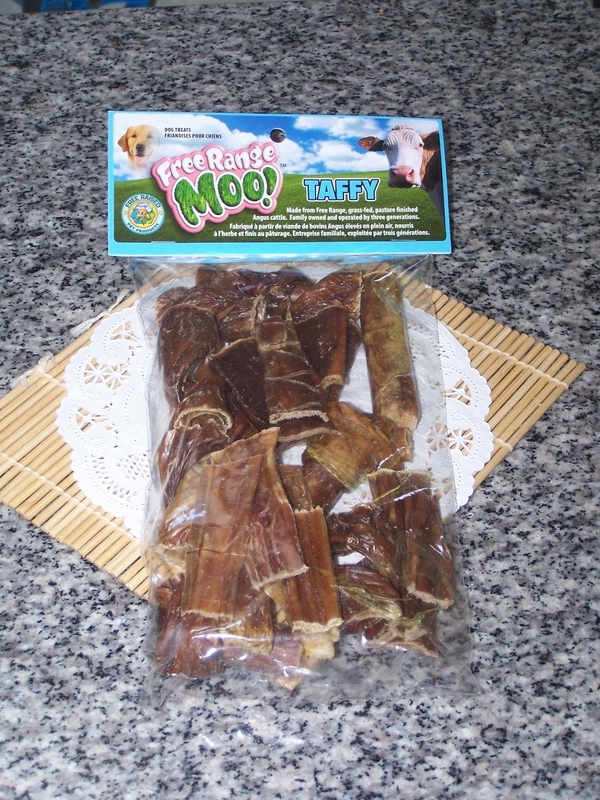 for your dog to enjoy variety of taffy treats in one bag. Numbers of treats in one package can vary.Weight of the each bag is 8 oz. Each piece in the package is bite size pieces anywhere from 2″ to 5″ or 6″. 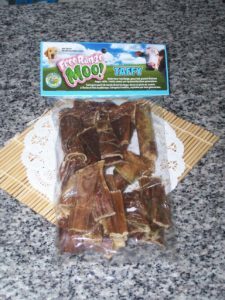 They are great as small snack/chew for dogs. Dogs love to enjoy variety of treats. For them, we have created some variety treat bag made with wide variety of protein source. Variety bag is the great way to explore variety of treats doggie buffet style. For those who loves to stock up your dog’s favorite single treat budget friendly way, we have created smaller bulk with free shipping deal. For those who would love to have fun with mystery treat bag, we have Palette’s K9 Foodie mystery bag deal. Your dog will love you even more for the new yummy treats! And yes, we have one mystery gift bag for dog lovers too. They are great as gift. We have variety of treat set/gift set for everyone.Enjoy treat hunt! Here are some example menu. If you use coupon code for other promotion such as 10% off coupon code, the subtotal after coupon was applied must be over $100. Shipping fee, sales tax excluded. ** Starting Jan 2014,all Free shipping orders has been shipped by Retail Ground (Formally known as standard post) or lowest cost shipping method unless your order include Yassy’s Gourmet Dog Kitchen brand biscuits or Jerky. ** Starting from October 8th Saturday, we will no longer offer snack Saturday program. If your order contains our brand of biscuits and Jerky, it will be shipped from Monday through Wednesday to make sure our products would arrive at your door fresh.This applies to all postal zones. All orders (Free shipping or paid shipping) without our brand of biscuits and jerky to postal code 5-9 (IL to west, AK,HI,FL) from our zip code 22501,will be shipped via first class parcel or retail ground method unless it contains our brand of our biscuits or Jerky and orders will be shipped Monday through Wednesday. Paid shipping order weighing more than 12 oz without our brand of biscuits and Jerky to postal zone 1-4 from our zip code 22501, and free shipping order weighing more than 12 oz to postal zone 1-4 without our brand of biscuits and Jerky will be shipped Monday through Friday. Orders to postal zone 1-4 and those weight of order including shipping envelope or box less than 12 oz will be shipped via first class parcel and which case, order will be shipped from Monday through Wednesday.If orders is weighing more than 12 oz or if orders contain our brand of biscuits or Jerky will be shipped by priority mail from Monday through Friday. Orders will be shipped via USPS. For customer in zone 1-4 from us in VA, orders will be shipped by either first class parcel (less than 12 oz including shipping envelop or box) or priority mail (more than 12 oz weight). For customers living in zone 5 to west (Chicago to west coast,FL,HI,AK), order will be shipped by first class parcel or retail ground unless orders contains our brand of biscuits or Jerky. When orders going to zone 5 – 8 had made to order biscuits /Jerky in them, order will be shipped via first class parcel or priority mail.And those will be shipped from Monday through Wednesday. We prefer priority mail or first class parcel method if your order contains our brand of biscuits or Jerky since they are made with fresh ingredients without preservatives, and not like other pre made biscuits or Jerky treats. USPS does not offer retail ground service to the area zone 1 to 4 from us. Charge is fixed flat fee. $100.00 and over is Free shipping. Items will be shipped via USPS. Zone 5-zone 8 from zip code 22501 will be shipped via either first class mail or retail ground. However, when the order weigh more than 13 oz and your order contains our brand of biscuits or Jerky which requires faster shipping method, it will be shipped via priority mail. You can check the postal zone for your area by visiting USPS site here. Click on Get Zone for ZIP Code Pair tab and then enter our zip code 22501 on Origin ZIP Code, enter your zip code for Destination ZIP Code and hit the “Get zone” button to see the zone number for your area. ** Sign up for our e-newsletter to save on your pet treats. When you first sign up for our e-newsletter, you will receive 12% off coupon code in your welcome e-mail to use for your next order.